I’m sure you’ve noticed, but I’ve been loving Amazon lately! 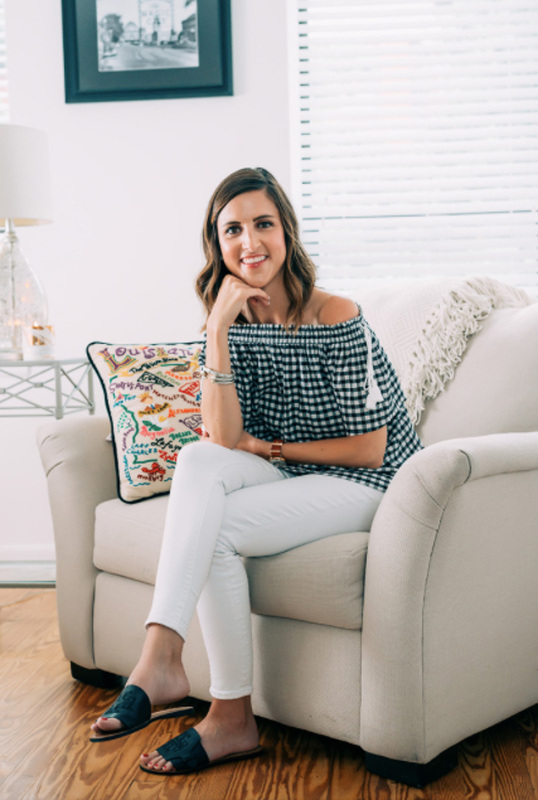 I’ve always loved Amazon for my everyday household items and random necessities that pop up, but recently I’ve come across some really great pieces to add to my closet on Amazon! In case you didn’t know, I have my own Amazon shop (“Amazon Favorites” linked under The Shop tab at the top of the page), www.amazon.com/shop/cobaltchronicles, where I link all of my Amazon favorites! I update my shop frequently with finds, and all of my tried and true purchases are there too! 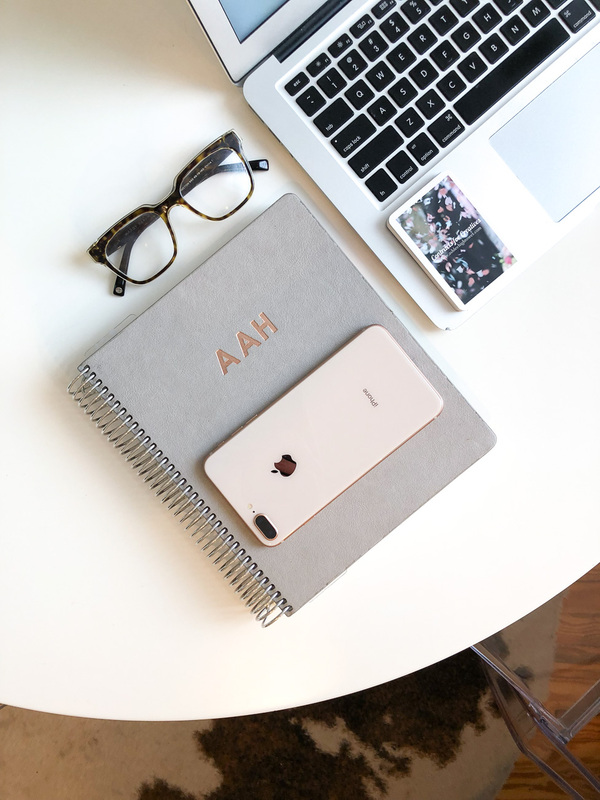 I’ll be rounding up my favorite Amazon purchases each month, so let’s jump right into my September Amazon favorites! I’m providing fit and quality review. For sizing reference, I’m 5’4″ and usually wear a size XS/S/2. 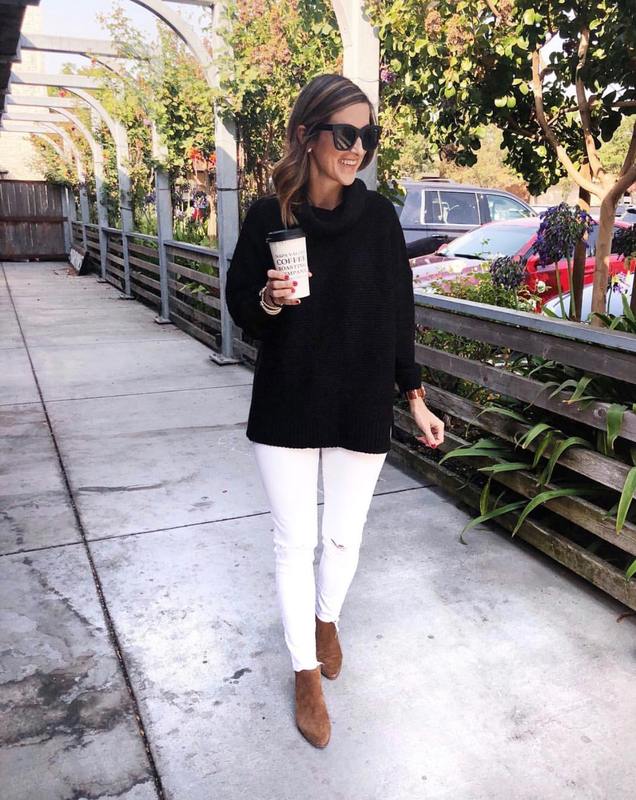 Black Funnel Neck Sweater ($30) // I LOVE this sweater! It’s super soft and perfectly oversized. I’m wearing a size small. It’s available in several different colors. I’m eyeing the camel version next! 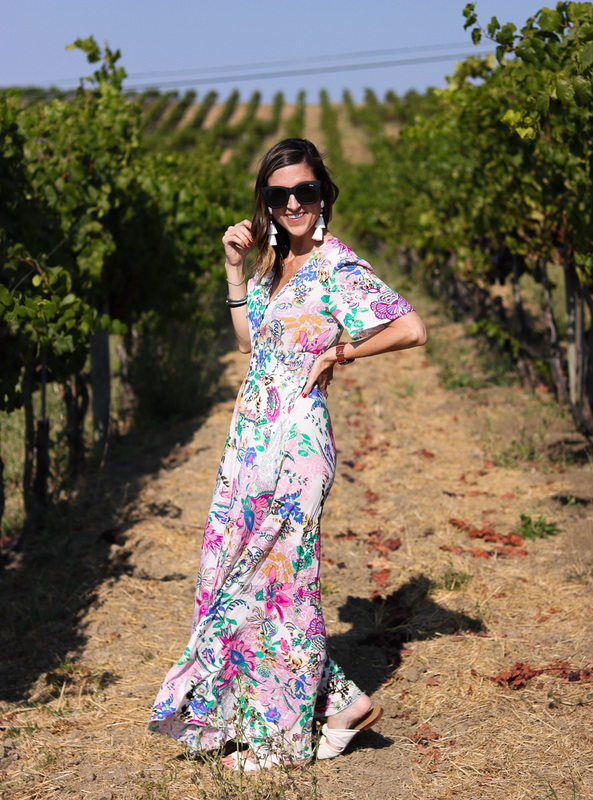 Floral Print Maxi Dress ($30) // This print is a bit summery, but no worries, this dress is available in SO many prints! I’m wearing an XS. The elastic waist band provides a little give, although I will say that the buttons are functioning buttons so if you size too far down, the stretchiness is likely to pull at the buttons. The dress comes with a tassel tie in the front. I’m not a huge fan of it. I just tuck it through one of the button openings so it’s not visible! Quay Australia Sunglasses ($55) // I’ve had this pair of Quay sunglasses for what seems like forever. I always get DMs on Instagram asking what style they are and where they’re from! They’re my go-to shades. Button Front Dress ($18) // Another dress that’s available in so many colors! I picked the brick red option, which is more burnt orange in real life. I’m wearing a size small. The buttons on this dress are functioning buttons. Black Tiered Dress ($20) // I LOVE this dress! It’s perfect for these warmer days we’ve been having. The material is pretty light weight and the tiers make it extra flowy. I’m wearing a size small. 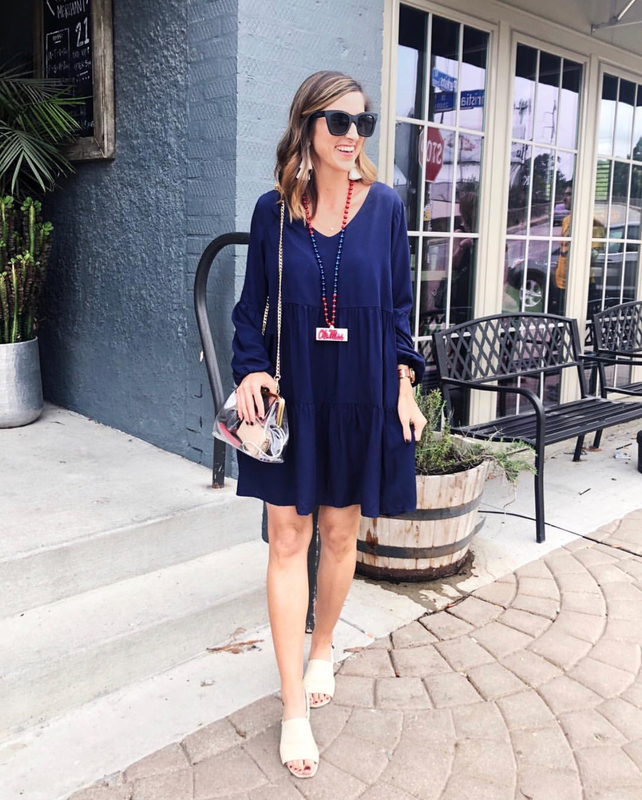 Navy Tiered Dress ($20) // So nice, I bought it twice! I specifically bought the navy version to wear to an Ole Miss game, but I’m so glad I have it in my closet now! It’s a nice alternative to black. Wearing a size small. Clear Kiss-Closure Purse ($23, pictured above) // I FINALLY bought a stadium-approved clear bag! I love the elevated look of this one with the gold chain and kiss-closure. It’s so cute, and I received so many compliments on it when I wore it out! 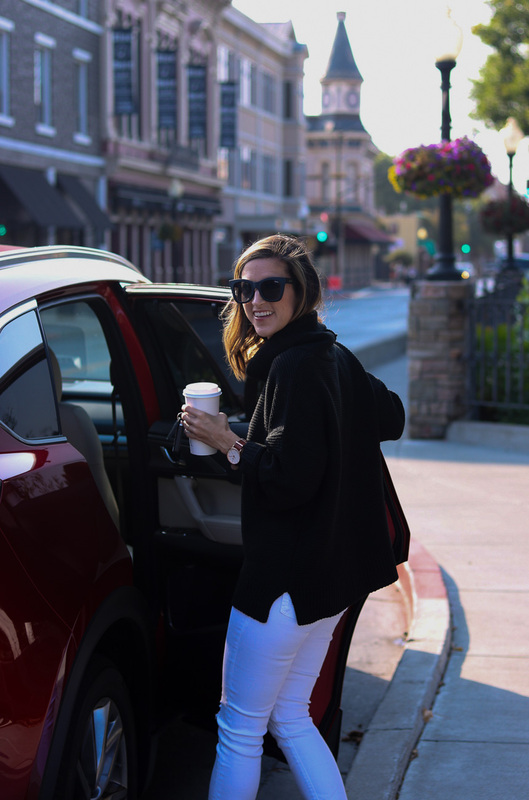 It fits a lot – I had my wallet, my iPhone 8+, a few makeup items, and a koozie with me. Keep in mind, the keys to finding good buys on Amazon are 1) narrow your search by checking the Prime box on the left hand side of the page, 2) only look at items that have multiple reviews, 3) scroll down in the reviews to see if there are any purchaser-posted photos of the item (these are usually much more realistic that the product photos), and 4) make sure the seller offers free returns! Check out this post on how I shop for clothes and accessories on Amazon! Lastly, if you’re not a Prime member yet, I highly recommend signing up. Not only is two-day shipping great for adding items to your closet, but it’s also great for everyday orders like toothpaste, cleaning supplies, and office necessities. Check out all the details here! GREAT finds and that clear bag is SUCH a smart idea. Thank you!! Thanks Reilly! The clear bag is SO good!